What a great time… See you same time next year in 2019! Below is the flyer for last years event for reference. 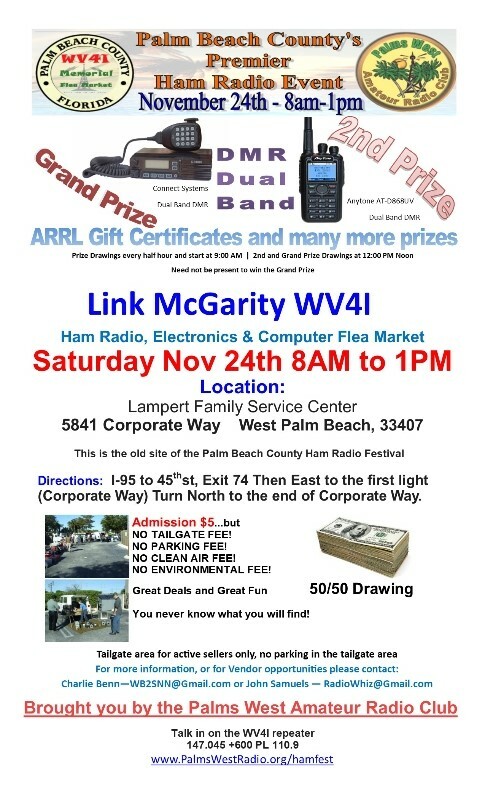 The Palms West Flea Market will Be Held Saturday November 24- this is the Saturday after Thanksgiving. This takes the place of the Okeechobee Flea Market that will not be held this year. It will be held at the usual location at the end of Corporate Way off of 45th St near I95.